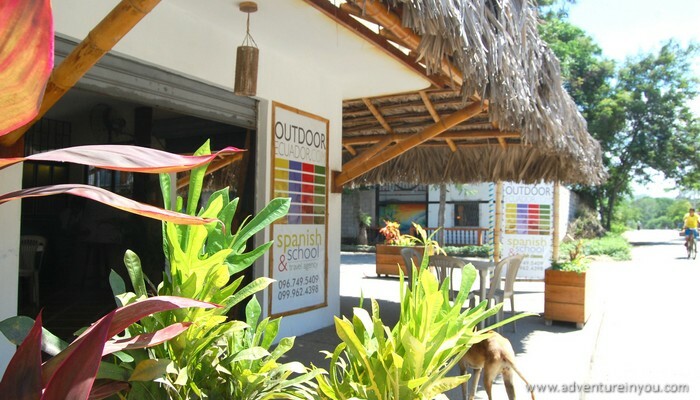 A $1.50 cab ride away from the crowded popular surf spot of Montañita is a peaceful town called Olon. 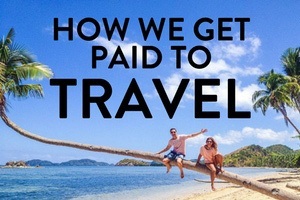 We recently decided to stay put for a month, while focusing on growing Adventure in You. We knew we wanted a place where we could surf and learn Spanish. Everyone we spoke to recommended Montañita so naturally, we headed there first. After a few days in Montañita, we decided that for a month, it wasn’t exactly what we had in mind. Luckil, someone mentioned Olon and after exploring the place for a day, we knew it what where we wanted to be based. 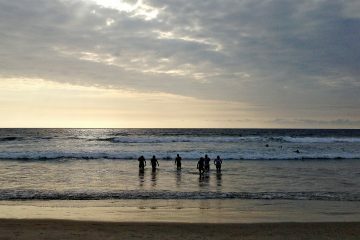 Olon is the quieter version of Montañita, but still has good food, great Spanish classes and most importantly great surf! 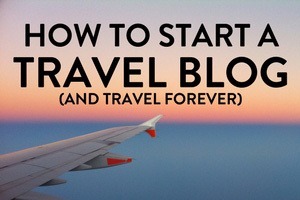 Being a small place which is less touristic means that the information on the best things here are limited, which is why we decided to write this post. If you are thinking of surfing in Olon, this is everything you need to know about the place and more. Where to rent a surfboard in Olon? Where to get surf lessons in Olon? The Surf in Olon – What is it like? Overall Olon Surfing Experience– Get a board and paddle out! Have you surfed in Olon? How was your experience? 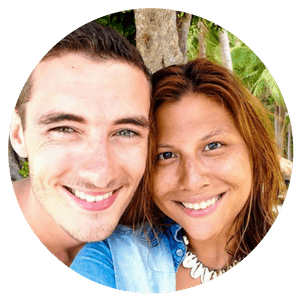 Like Montanita, you can rent a surfboard from a local guy on the beach. It is generally cheaper to rent a surfboard here in Olon, with boards ranging from $5 an hour to $8 depending on your haggling skills. 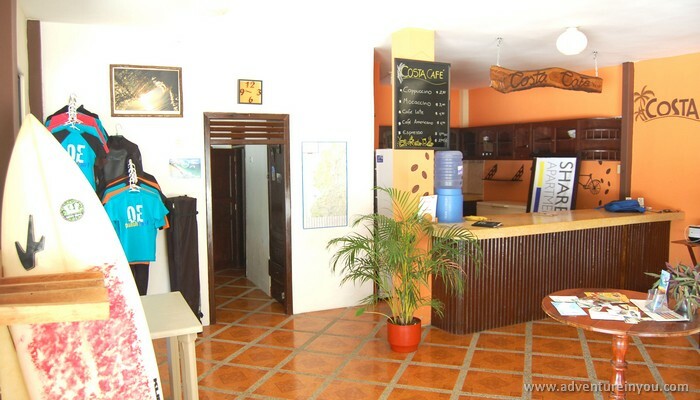 The cheapest and best place to rent a surfboard from is Outdoor Ecuador. You can get a board here for $12 a day and it becomes even cheaper if you take it for longer. They do monthly deals for as low as $120, which works out better than buying a surfboard as you are allowed to swap and use any board you want. Again, you can take out a surf lesson with any local guy renting surfboards on the beach but again I would recommend getting a surf lesson with the guys at Outdoor Ecuador. 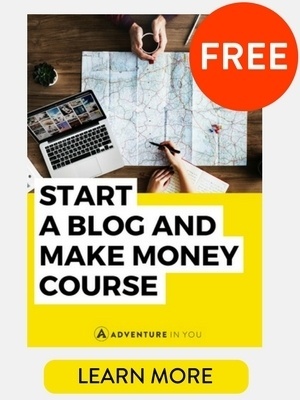 This way not only will you be getting a better deal, but you will also be making friends. Game nights, surf trips and meals out with a great group of people have all happened because we decided to learn Spanish and rent a surfboard from these guys. Apart from this, the instructors are fluent in both English and Spanish, making it easier to get your surf on! Olon has a very long beautiful beach, which has great surf breaking left and right. The wind changes everyday but the surfs tends to always be good. The break is suitable for beginners looking to surf white water and also for intermediate surfers who want to practice their skills. 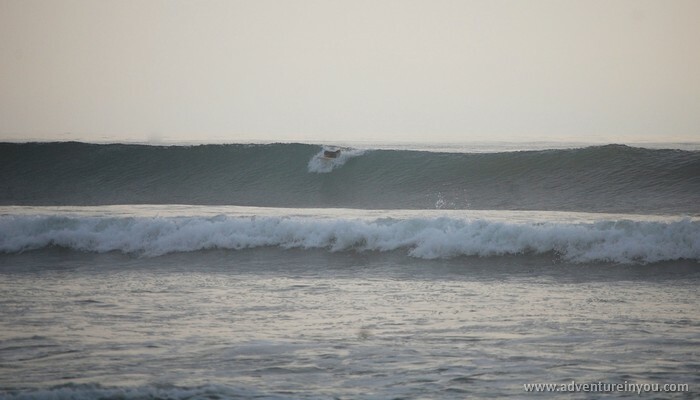 When the surf is really pumping, the waves can reach 3 to 4 meters plus and are fast. On a normal day you can expect long waves reaching a height of 1 to 1.5 meters. If there is no (or little) wind, the waves will be fat and clean allowing long turns. You will often see the locals ripping it with sharp turns and even airs. One of things I loved about surfing in Olon, was that the locals are always smiling and saying “Hola” as they paddle by. Also, if you surf early in the morning or at sunset, you might even see dolphins jumping out of the water. Combine that with the birds that fly close to the waves every day, surfing in Olon turns out to be an amazing experience. The surf here is not as big or consistent as Motanita but the fact that it is a lot less crowded and still brings in good sets makes it my first choice. Early morning 7am-8am and 5pm-6pm, depending on the tide. From December to May, swells come from the North and is when locals say are the best months to surf. From April to November swell comes from the South and West. Although not the best months, you will still get consistent surf. Biggest surf is said to usually come in around January and February. The locals said the worst and coldest weather is usually around July to November. The surf will still be good but not the nicest weather to paddle out in. It would be much better visiting Olon in between December to May! 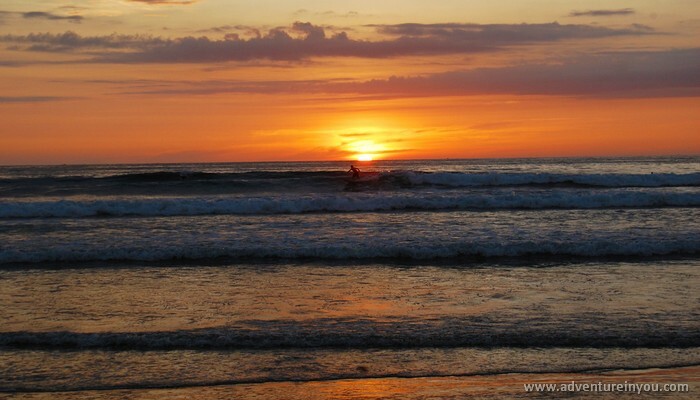 Between the awesome waves, kind locals, dolphins, birds and spectacular sunsets you will love surfing in Olon. 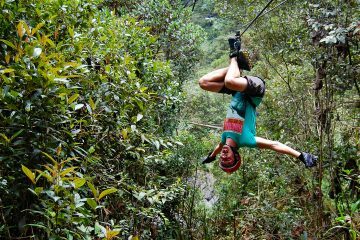 The guys over at Outdoor Ecuador are super friendly, professional and offer the best prices in Olon. As I finish writing this article, I am a bit sad as we are about to leave Olon, however, we already cannot wait to come back! 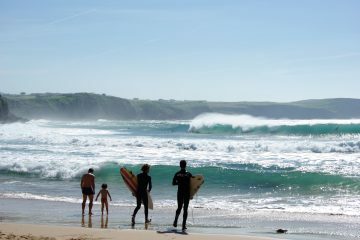 The 10 Best Surf Spots in Spain : Do Not Miss Out!